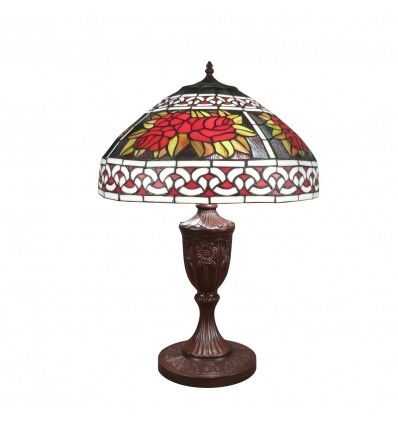 Tiffany style lamp with rose decoration on a baroque glass stained glass window. 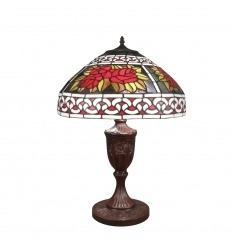 Tiffany lamp with a decoration of roses on a baroque glass stained glass window. 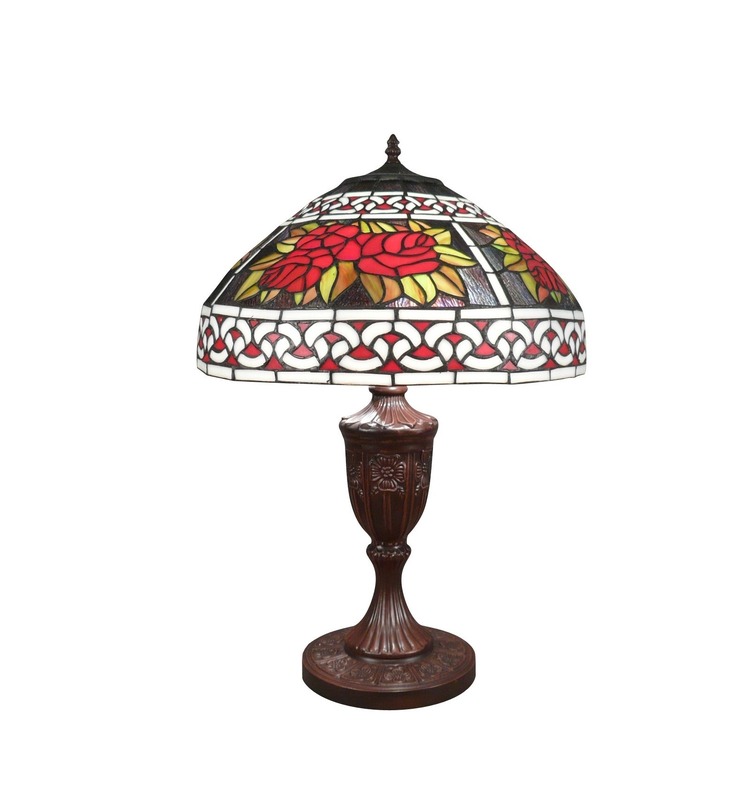 The stained glass windows of all our lights were made with real glasses. Patinated metal foot in bronze color.